Flawless skin is universally the most desired feature in humans. At Castleknock Cosmetic Clinic Dublin we believe skin should glow, giving radiance and vitality. Skin Rejuvenation gently revitalises the skin reversing the “telltale” signs of aging. 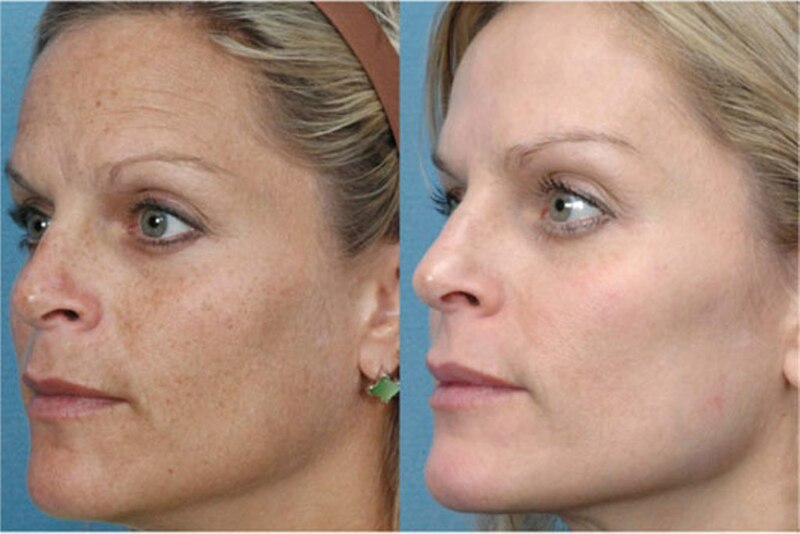 Unwanted freckles, sun spots and sun damage are eliminated. The result is a soft, natural and more youthful appearance. Unlike more aggressive lasers, surgery, or outdated Intense Pulsed Light (IPL) systems, the latest generation technology delivers RejuveLux treatment using smooth fluence (energy) and long pulse duration at specific wavelength bands. 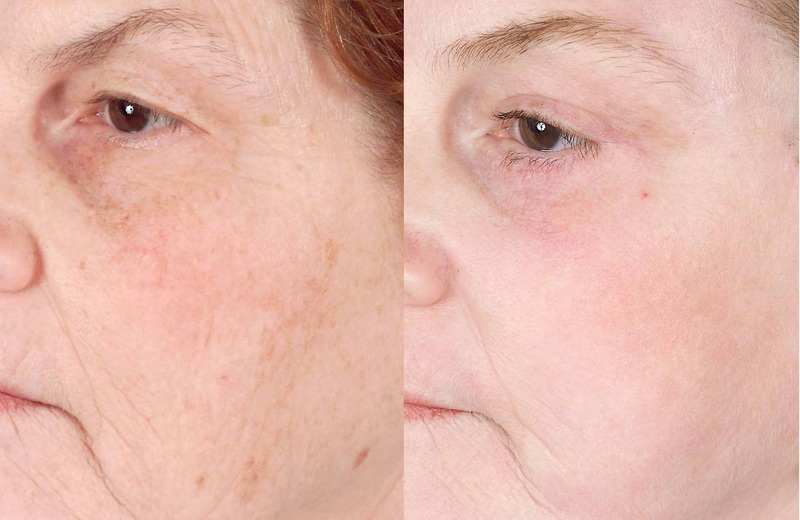 If you live with sun damage on your face and hands, red, blotchy Rosacea on the face, or spider veins visible beneath the skin’s surface, you may be surprised to find out that these appearance-spoiling imperfections can all be treated with the same technology: the Palomar Fotofacial Process. Fotofacial is remarkable because it has the versatility to treat all of these problems safely and effectively, while improving skin tone and texture. to achieve superior photothermolysis. The result is more comfortable treatment and target clearance can be achieved in lesser number of sessions. The Fotofacial is gentle enough to treat delicate areas like the full face for a far more aesthetically pleasing effect. Typically treatments are performed in four sessions over three months. Fotofacial provides gradual improvement with very low risk that patients find it tremendously satisfying. The procedure is safe enough for application on the neck, chest and hands. If you live with sunspots on your face and hands you may be surprised to find out that these appearance-spoiling imperfections can be treated with light therapy photofacial laser. The Palomar Fotofacial Process is remarkable because it has the versatility to treat all of these problems safely and effectively, while improving skin tone and texture. Following an initial diagnostic consultation and skin suitability typing and skin test shot administration, the treatment can begin. Prices for skin rejuvenation are per treatment session. As multiple areas of the body can be combined in one session, various combination prices are available. Fractional CO2 Laser resurfacing has become a popular option for patients seeking to enhance the appearance of their skin. 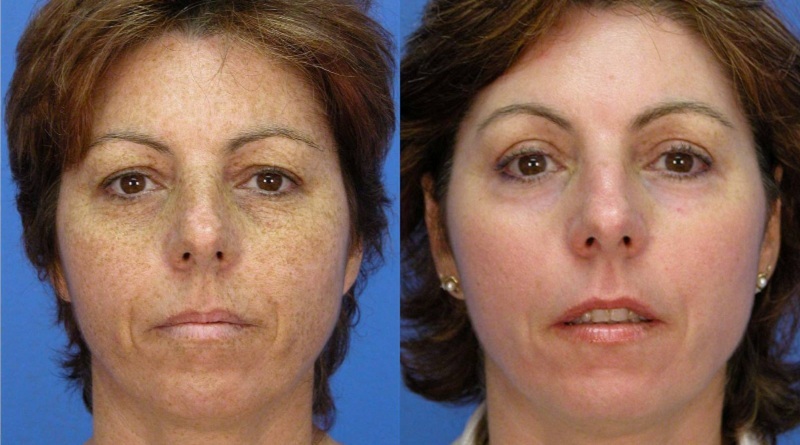 Unlike traditional laser peels, where effective results are associated with long periods of downtime, fractional CO2 laser technology offers a short-downtime solution for treating sun damage and skin pigment, as well as improving tone and texture. The new generation fractional device use ablative wavelengths of 10400 nm also called CO2 Lasers. CO2 Lasers are considered the gold standard for skin resurfacing. The results are far more predictable and the results are more dramatic. The procedure is performed under local anaesthesia and twilight sedation if desired. One session of fractional CO2 laser is all what’s needed and recovery is just over a few days.